Christmastime for Hibbing’s Micheletti family was less about the singing of carols and trimming of trees than it was the throwing of a well-timed hip check. The Micheletti family lineup, from oldest to youngest, went like this: Tom, Jim, Andy, Jerry, Joe, Don, Jean, Andrea and Pat. Dad, Americo, made it 10. With the Michelettis providing copious amounts of skill and grit, Hibbing became a fixture at the state tournament. The Bluejackets went with Andy in 1967, Jerry in 1970, Joe in 1973, Don in 1974 and Pat in 1982. Joe’s 1972-73 team was undefeated and No. 1-ranked for much of the season. The Bluejackets, however, had their confidence shaken after suffering a string of late-season losses. They were routed by International Falls 8-3 in the Section 7 title game, but recovered with a 9-2 thumping of Section 8 runner-up Roseau in the old “back-door game.” Hibbing’s victory sent it to state as the representative for vacant Section 3. “We go from being No. 1 and beating everyone and really playing well to suddenly losing it,” Joe Micheletti said. “The thing that stands out obviously is that once we got to the tournament was how good we were, how we pulled it all together at the right time. Leading the way was Micheletti, who turned in one of the most dominating performances in state tournament history. He scored a hat trick in the Bluejackets' 4-2 quarterfinal win over Bemidji and had a goal and two assists in a stunning 5-4 semifinal triumph over International Falls. Micheletti had another hat trick in the Bluejackets’ 6-3 rout of Alexander Ramsey in the championship game. He finished the tournament with seven goals and four assists as Hibbing won its second state title and first since 1952. The Bluejackets haven’t won a championship since. The quarterback for the Bluejackets’ football team that also reached the state tournament, the 6-foot, 180-pound Micheletti also was a baseball infielder. His blend of size, athleticism and toughness made him an irrepressible force on the hockey rink. 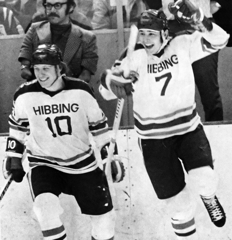 “He scored from all over the place,” said Dave Herbst, another high-scoring center for Hibbing in 1972-73. “It was just a matter of where he got the puck. Micheletti’s 11-point scoring spree stands as one of the greatest in state tournament history. 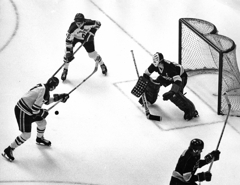 During a 40-year span, from 1953 through 1992, only Roseau’s Aaron Broten scored more points (12 in 1979) at a state tournament. 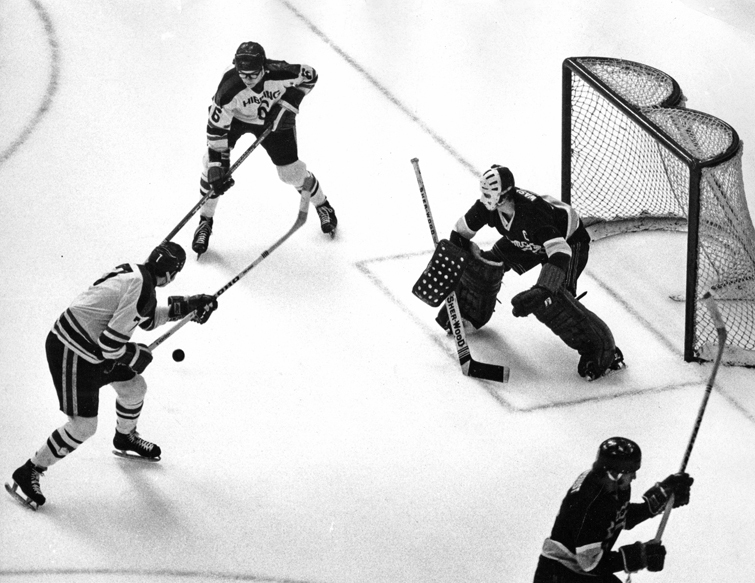 Herbst (Wisconsin) and Micheletti (Minnesota) were the only two Bluejackets seniors from the 1973 team to play Division I college hockey. 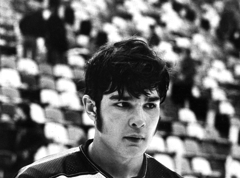 Micheletti won national championships with the Gophers in 1974 and 1976, when he was named the most valuable player of the finals. 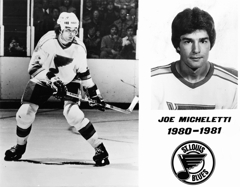 Micheletti played in 158 NHL games, with most of those coming with the St. Louis Blues from 1979-82. He retired from pro hockey in 1982. He lives in Worcester County, N.Y., and works as an NHL analyst for multiple television networks.